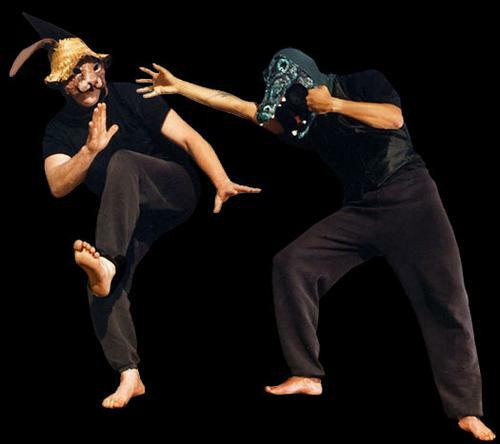 Montalvo Arts Center | News | Last two Family Theatre shows, plus gardening workshops and more! Only two performances remain in the spring season of our popular Family Theatre series, and if you have kids, you won't want them to miss either one! Join us on Saturday, April 14, at 11am, for The Runaway Bunny (with music performed by the Saint Michael Trio), and on Saturday, April 28, at 11am, for Br'er Rabbit and other Trickster Tales from Around the World. Emmy-winning composer Glen Roven has re-worked his original music for The Runaway Bunny, which will be performed live by one of Montalvo's favorite chamber groups, The Saint Michael Trio. Based on the beloved children's book, The Runaway Bunny tells the heartwarming tale of a small bunny who wants to leave home, but whose mother declares that she will always follow. The story will be narrated by Montalvo's Executive Director Angela McConnell. Celebrate self-reliance and creative problem-solving with the humourous and magical Br'er Rabbit and Other Trickster Tales from Around the World! Each adventure is filled with wily creatures who teach us wisdom, morals, and life lessons. These stories are performed by BOXTALES Theatre Company, which has been described as "simply the best children's program in America" by Young Audiences of America. Tickets to these performances are $20 for adults and $10 for children (Members: $16/Adult, $8/Children) and are available for purchase online or through the Box Office at 408-961-5858 10am-4pm Monday-Friday. Join us on Sunday, April 22, at 3pm, as the Villa Chamber Music Series continues with the Amstel Quartet. 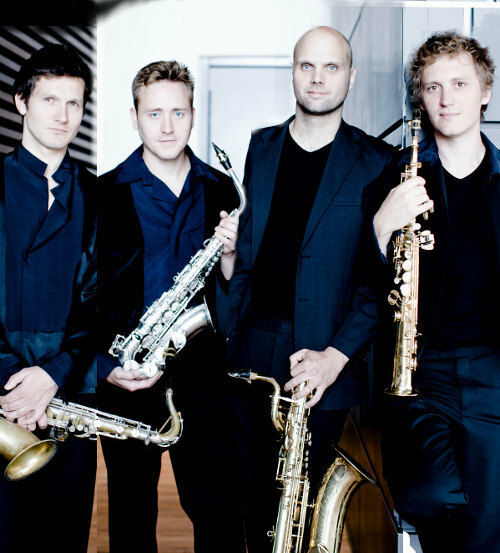 A group of musical pioneers, the Amstel Quartet is one of the world's most accomplished and admired saxophone quartets. Fanfare Magazine described them as, "nothing short of astounding!" Each member is a passionate musician in his own right, and the group pushes the boundaries of the conventional saxophone repertoire with original re-workings of chamber music classics. They have toured extensively throughout Europe and the U.S. with a sound that brings audiences to their feet. It's a performance you won't want to miss! Purchase your tickets online today, or call the Box Office at 408-961-5858 10am-4pm Mon-Fri.
Two musicians from our upcoming concerts in the Carriage House Theatre have been featured in recent articles in the Palo Alto Daily News. Read an interview with Kyle Eastwood (performing Friday, April 6, at 8pm) here, and an article about Taj Mahal (performing two shows on Friday, April 13, at 6:30 and 9pm) here! Next time you visit Montalvo, be sure to take a stroll on the Great Lawn and check out the newest Sculpture on the Grounds: PLACE, by Steven Simon. This sculpture consists of five benches, spelling out the word "Place," and visitors are encouraged to interact with the piece by taking a seat and contemplating the beauty of Montalvo's grounds. Simon, a former artist-in-residence in the Lucas Artists Residency Program, has created numerous large, outdoor sculptural installations in locations ranging from Mexico to New York to Ireland. He installed PLACE last week, in time for our Arts Splash! Open House & Student Art Festival on Saturday, April 21, from 11am-4pm. Simon has noted that the piece tends to attract kids, making it an ideal addition to the grounds for that day! Join us next Wednesday, April 11, at 7pm, for the second in our series of FREE Chit-Chat Club conversations, "Choreographing Space". 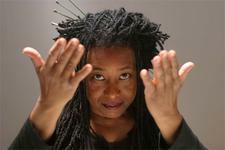 Barbara Goldstein (Director of Public Art, San Jose Office of Cultural Affairs) will engage in a conversation with composer, performer, and sound artist Pamela Z, a former artist-in-residence at the Lucas Artists Residency Program. This dialogue will explore the possibilities and challenges of building the arts programs at Montalvo considering our topography and landscape. The Chit-Chat Club is an extension of our current exhibition in the Project Space Gallery, O' Great Reverie: Montalvo 1912-2012. This timeline exhibition explores questions about the meaning and nature of an institution's history. Montalvo's founder, Senator James D. Phelan, attended "chit-chats" as well, and this revival serves to explore Phelan's vision of Montalvo with a modern perspective. Attendees will be invited to participate in the dialogue, and the event will also be streamed online on UStream and live-tweeted on Twitter using #chitchatclub - opening up the online audience to join the conversation. You may have noticed a lot of improvements to Montalvo's gardens over the past two years, all brought about under the guidance of Garden Curator Delmar McComb. Read more about our garden guru, horticulturalist, and professional opera singer in a Mercury News article here. This spring, you will have a chance to learn how to implement some of Del's gardening strategies in your own backyard through two classes: Native Plants in your Garden on Saturday, April 28, 11am, and Expand Your Plant Palette on Saturday, June 16, at 10am. 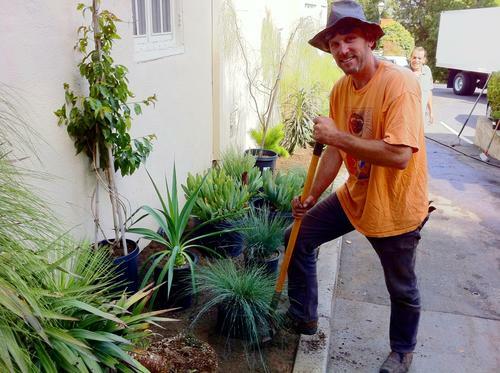 For "Native Plants in your Garden," Del will explore the use of California native plants, their beauty, and their compatibility with our Mediterranean climate. Learn about innovative garden designs, and how to use these plants as sources of food, dyes, medicines, and fiber. In "Expand Your Plant Palette," you will learn about unusual plants that are not commonly used in gardens, where to find them, and how to grow them. From rare flowering plants to fragrant shrubs to uncommon smaller trees, these additions will make your garden the envy of your neighborhood. Don't miss your chance to learn from Del's expertise! Tickets are just $30 ($20 for Members) and are available through the Montalvo Box Office at 408-961-5858 10am-4pm Monday-Friday.